Do you really need a mission statement if you’re working from home? Yes, you do. Your company’s mission statement will set up the foundation for every business-related decision you make moving forward. So if you don’t have one yet, it’s time you start writing your mission statement. Hi!! Welcome to the Geeky Mompreneur — the podcast especially for work at home mothers. I’m Naomi Nakashima. And today we are going to talk about a very important element to working from home: your mission statement. 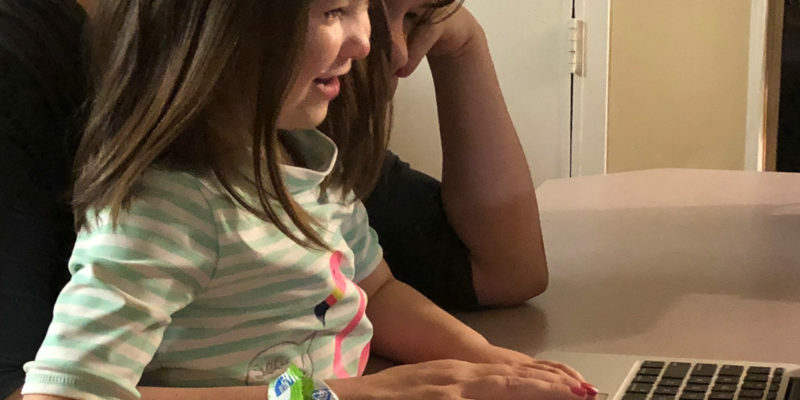 So, this is what normally happens when someone decides to begin their own business and start working from home… They have a need, some reason that draws them into working from home. Maybe that person wanted to spend more time with their kids, or maybe they just wanted a bit of a side-hustle and it grew into more income… Maybe they just didn’t want to work for someone else anymore. Maybe they’re just sick and tired of the boss, sick and tired of the man… and they decided they wanted to set their own hours and be their own boss. That’s part of the American Dream, right…? To be your own boss? So this is what happens…they make this monumental decision to start working for themselves, and then they do it. They start the company. They put together a website or a blog, they slap together a Facebook Page and a Twitter account and they get themselves up on LinkedIn and then they start telling everybody about this new business. The very idea of pausing to write out a mission statement for themselves completely skips their mind. It doesn’t even dawn on them to write one up because they’ve never had to do it before. And you can see the evidence of this just by browsing through a lot of Pages on Facebook that are businesses which were started at home. Check some of them out and take a look at their mission statements and you’ll see there’s not a whole lot of meaning behind them. There’s just not a lot of passion or drive. They’re really just a string of words put together and promises that everybody else makes. And because they all use the same verbiage, they all make the same promises — they all basically claim to do the same things — none of them stands out. They all just kind of blur together. They are left with nothing else to compete on, nothing that will help them stand out from the crowd other than discounts and prices. Now, if that’s all there is for you to compete on, I can tell you right now, you might as well just not even bother. Because there is always going to be someone who can afford to offer a lower price. And lowering your price won’t actually help you compete at all – it gives you nowhere to go. But that’s a topic for another episode. So back to your mission statement. A mission statement is a written declaration of a business’s purpose or focus. If you are starting a business at home? Then, yes, you need a mission statement. Too many small businesses leave this very important piece of their company undone. Or worse, they whip one out with hardly a second thought because someone asked them one day. This isn’t some abstract phenomenon that you only need to worry about once your business is billing out millions of dollars a year. And it’s not something that should be skimmed over or whipped out to fill in a space on your Facebook Page. A mission statement is just that: it defines your mission. Why are you in business? Why does your business exist? Who does your business serve? Why is it so important to get these things written out and defined? Because doing so will give your company, small though it may be, direction. Having a mission statement will pull your small business’s future into focus, and it will give you a template for any big decision you may face. Plus, having a mission statement will help you shape your strategy, define your vision, and keep you on point. Write out your mission statement and hang it everywhere. 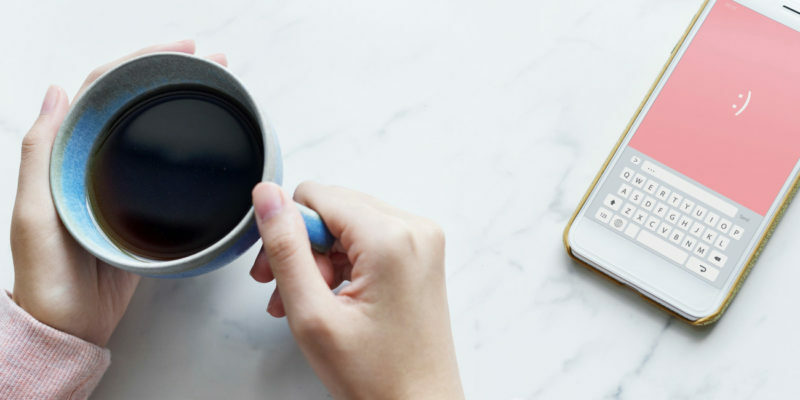 Make a quote and get it up onto Pinterest, get it onto your blog, your social media profiles…wherever you have a public presence. Heck, it doesn’t even have to be public… hang it up in your bathroom if you like. Your mission statement should be bold. It should be clear. It should reflect who you are and what you want to do — the mark you want to leave on your profession or on your clients. For example, my mission is to teach work at home mothers do it all: meet their goals, build their businesses, and keep their sanity. That’s my mission. 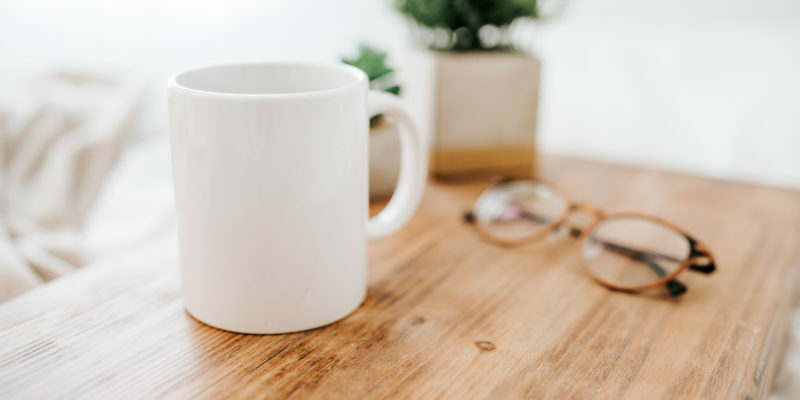 My strategy is to provide resources that will teach work at home mothers the strategies and tools they need to do it all: how to set those goals, how to build their businesses, and how to take care of themselves and hold onto their sanity while they do it. 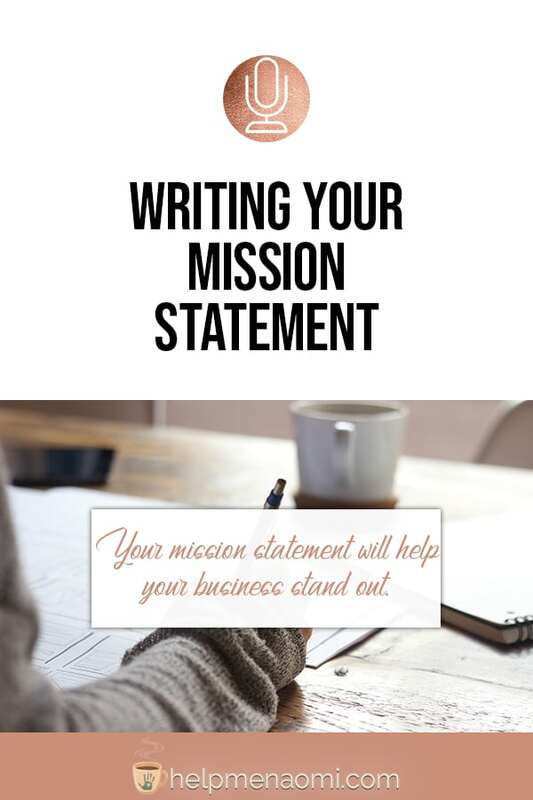 So, how do you write a mission statement? We’re going to do that right now. First, start with your ideal client: the person who is about to decide whether or not to purchase your product or service from you. What does your company do for that person? Write this out from their point of view. What purpose does your company serve this person? Next, what are you doing for your ideal client? Now, this is where you want to be genuine. Are you providing peace of mind? Offering trustworthy advice and help? Are you dispelling myths? Now, write this all as a statement. And there you have your mission. It should be short, easy to repeat, and it should focus on the end result of your products or services rather than on the products or services themselves. Finally, you’re going to read, reread, rewrite, reread again, edit, reread, polish, rinse, lather, repeat as needed until you have your mission statement. Now keep an eye out for trending “buzz words” that everyone is using. And trim down your mission statement to be as much about you and your company specifically as possible. Stay away from vague promises such as “great customer service” and “the best possible…anything” because everyone makes these promises. And the point of this mission statement is to help you stand out. When a complete stranger comes across your company for the first time and reads your mission statement, they shouldn’t be able to tell what it is you sell right away. But they should be able to tell what problem you will solve for them right away. All in all, writing your mission statement is going to be the moment you define the very existence of your small business. And that deserves thought and intention behind it. And while it shouldn’t take days to write, it also shouldn’t be done within a couple minutes. Make it useful, make it meaningful, or don’t bother making it at all. And that draws this episode of the Geeky Mompreneur to a close. If you found this episode valuable, I hope you’ll let me know by heading into iTunes and subscribing, rating, and reviewing. You can also join in the conversation over at my blog at helpmenaomi.com. Leave me an example of your Mission Statement, I’d love to see what you do. Until next time!! Bye!